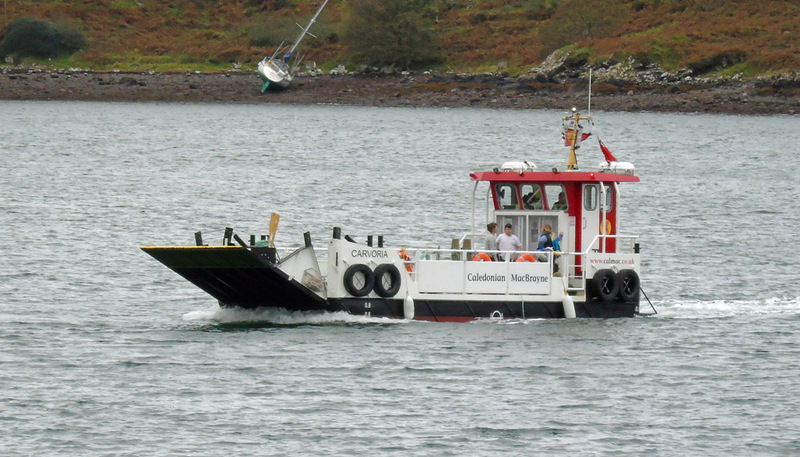 Coaster Lady Ami at GOT 20 October 2017. 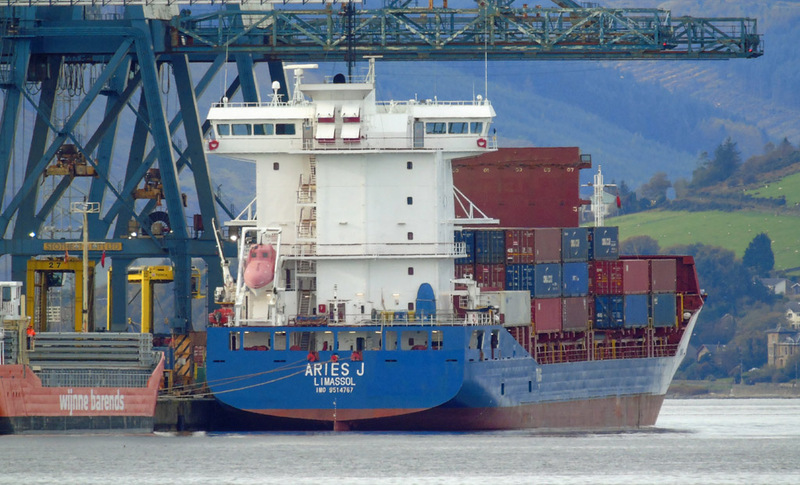 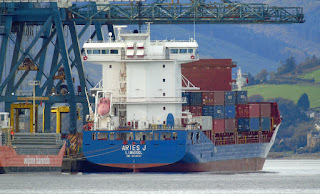 Container vessel Aries J at GOT 20 October 2017. 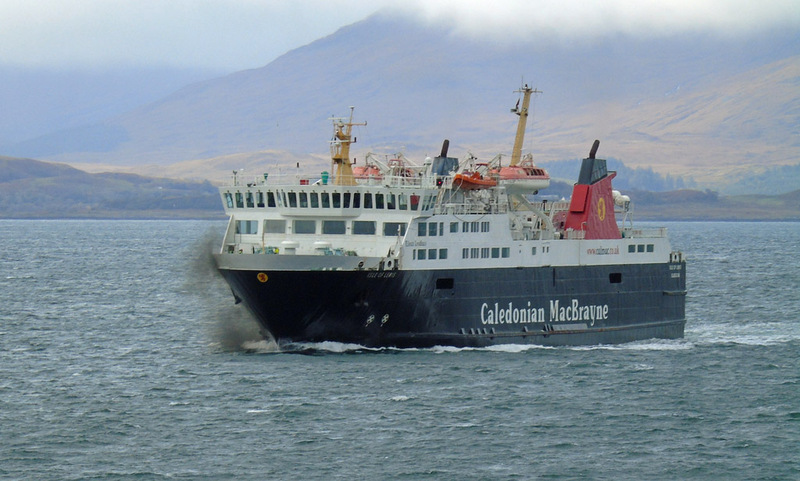 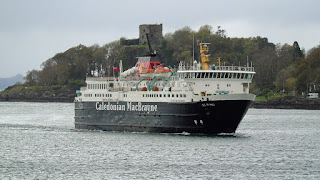 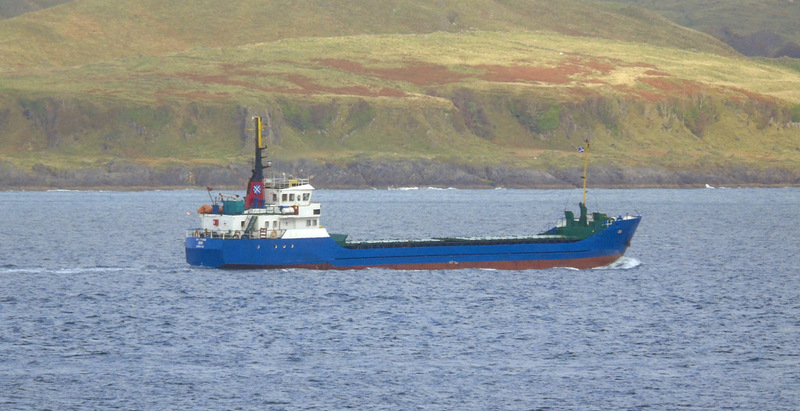 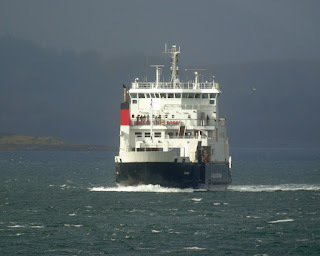 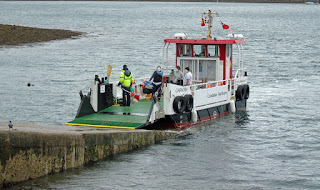 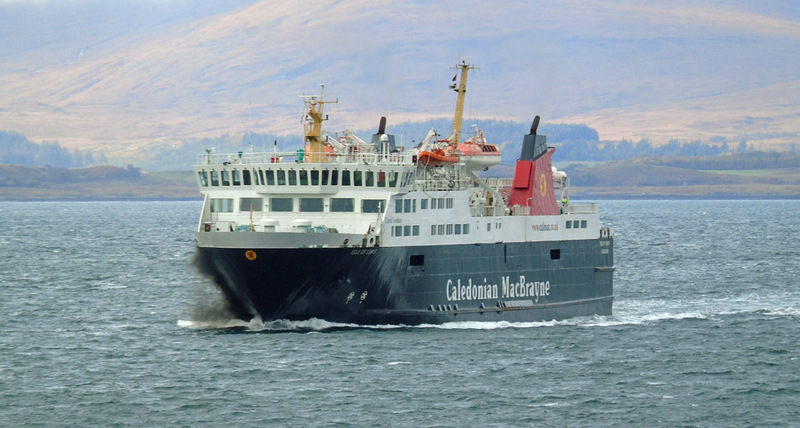 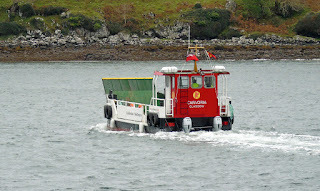 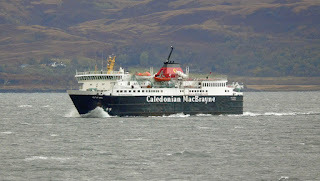 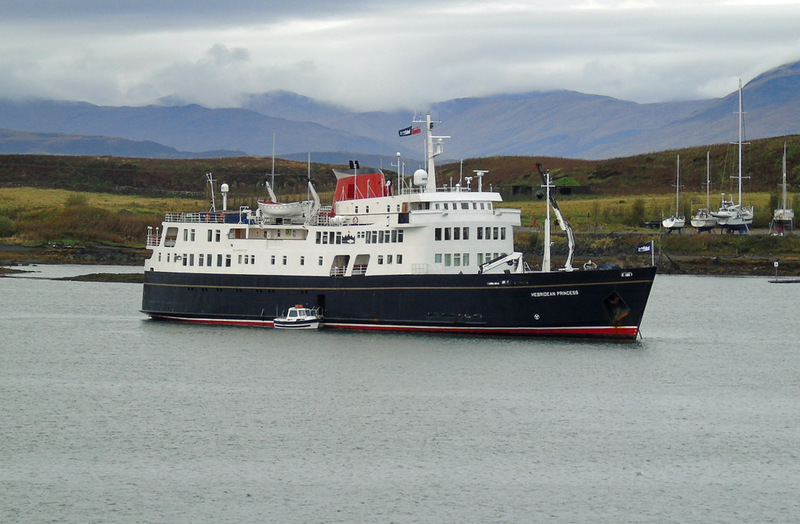 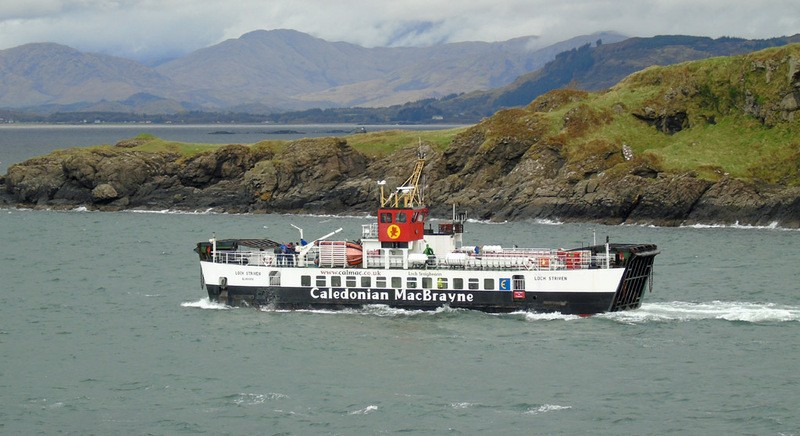 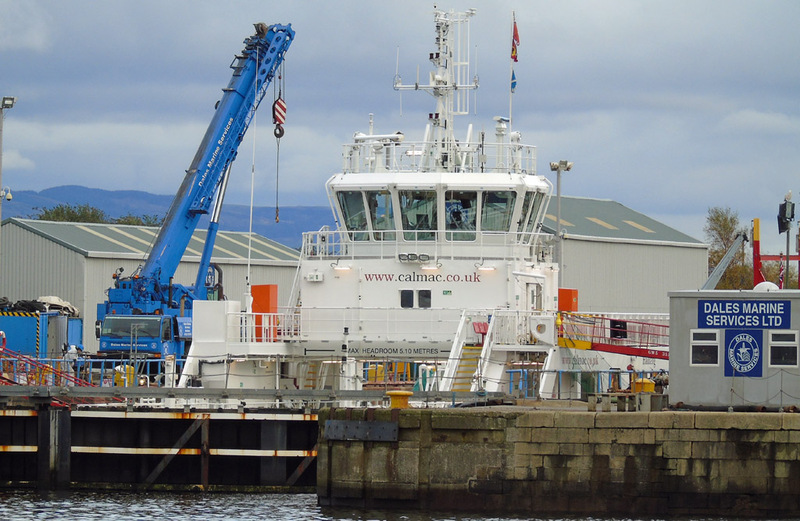 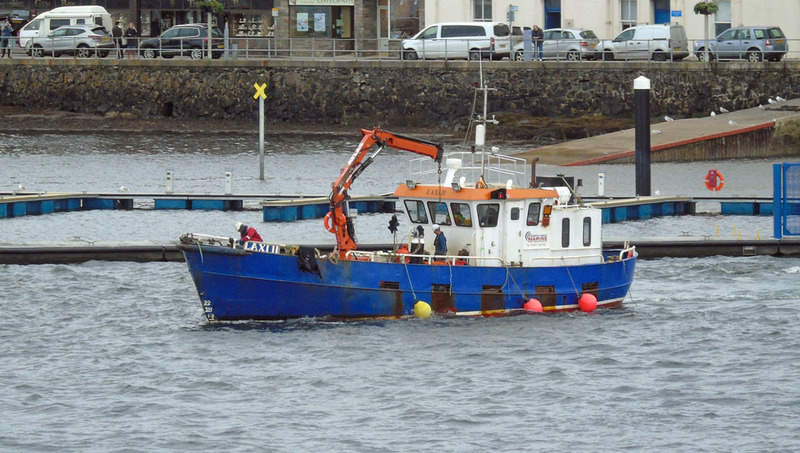 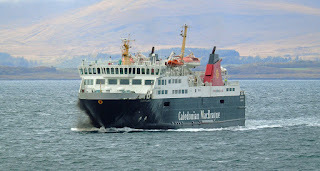 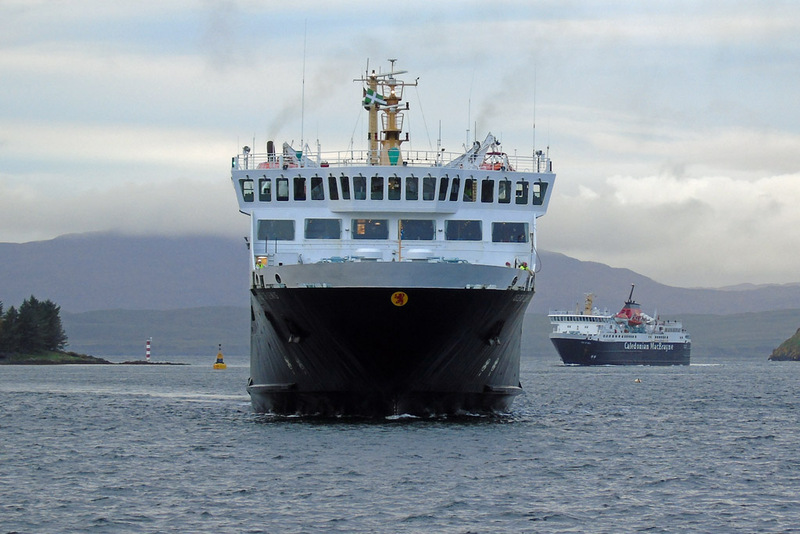 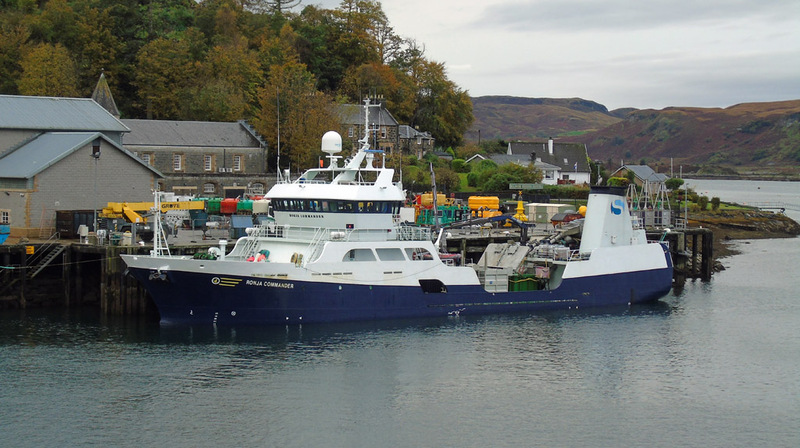 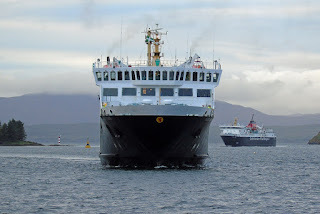 Raasay ferry Hallaig begins annual maintenance in the Garvel 20 October 2017. Tanker Sti La Boca anchored in Irvine Bay 19 October 2017. 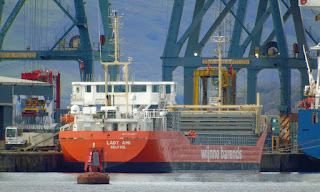 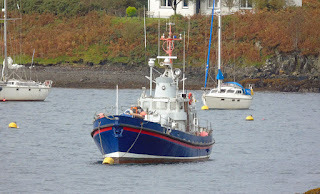 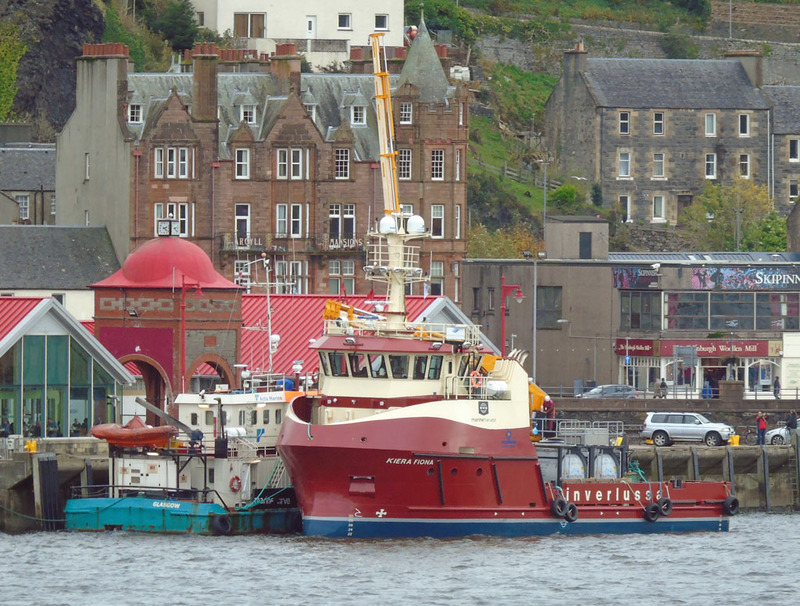 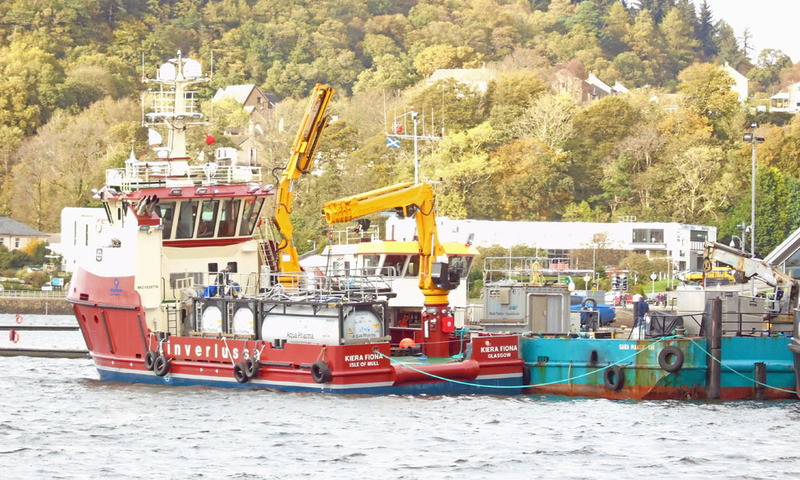 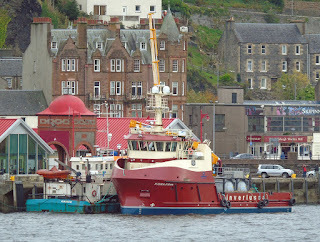 Northwest Marine's Laxi II in Oban Bay 17 October 2017. 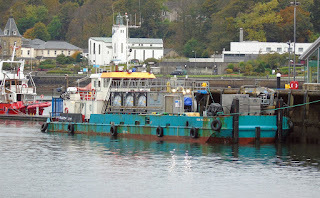 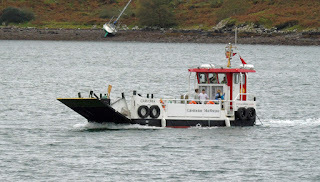 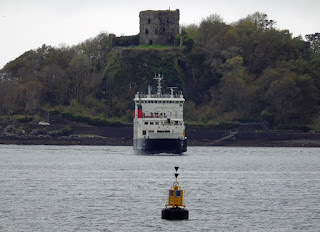 Lismore ferry Loch Striven on service 17 October 2017. 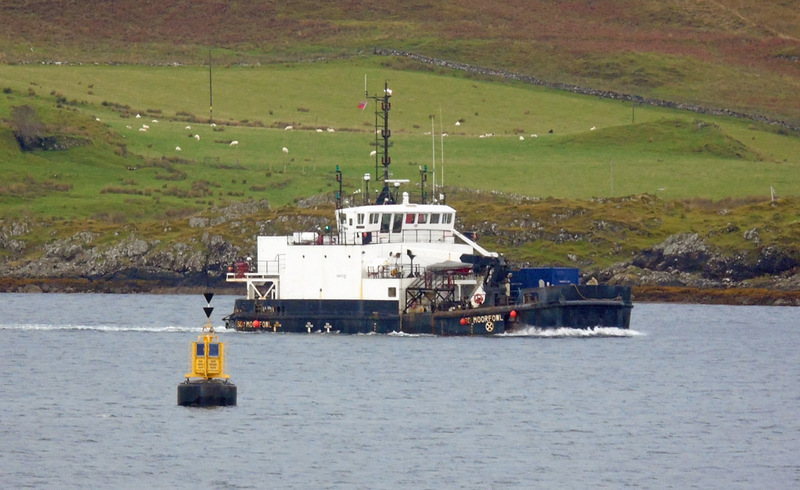 Coaster Isis inbound for Loch Etive 17 October 2017. 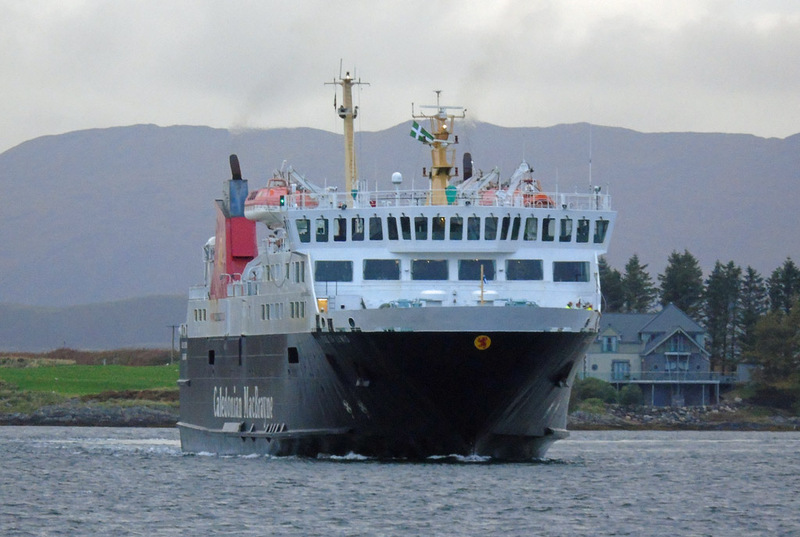 A smokey Isle of Lewis inbound 17 October 2017. 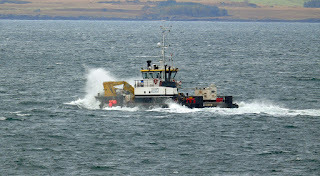 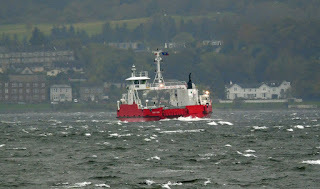 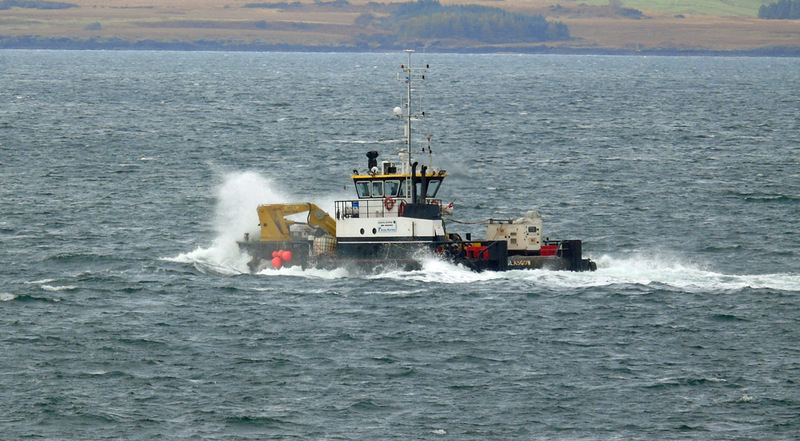 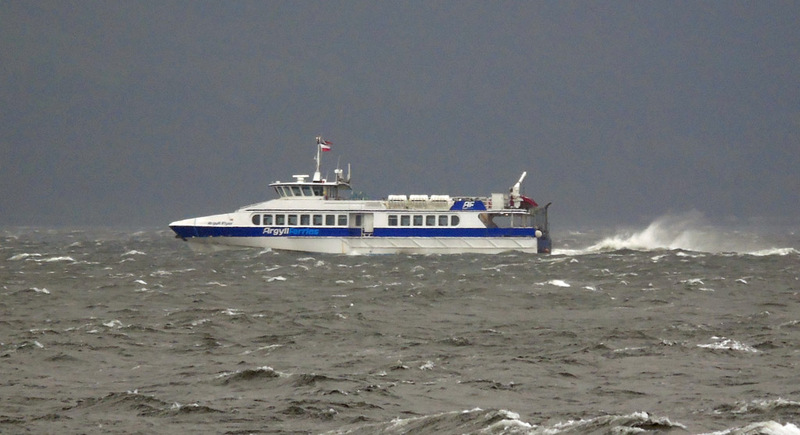 Acta Marine's multicat Coastal Hunter encounters heavy weather in the Sound of Mull 17 October 2017. 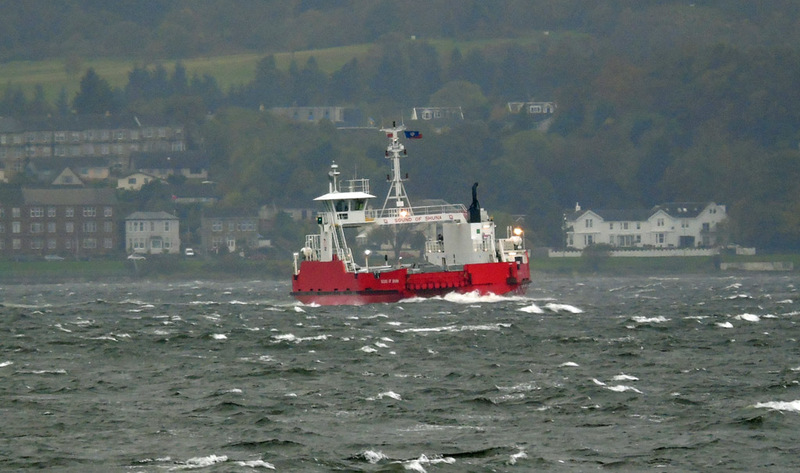 Serco's SD Moorfowl inbound for lunch 16 October 2017. Live fish vessel Sarah Maatje VIII at the North Pier 15 October 2017. 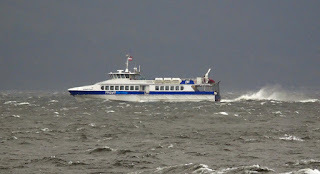 Weather induced changes to the Barra sailings allowed this unusual pairing (at least in my experience!) 15 October 2017. 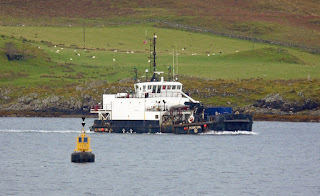 Isle of Lewis approaches the berth with Isle of Mull close behind. 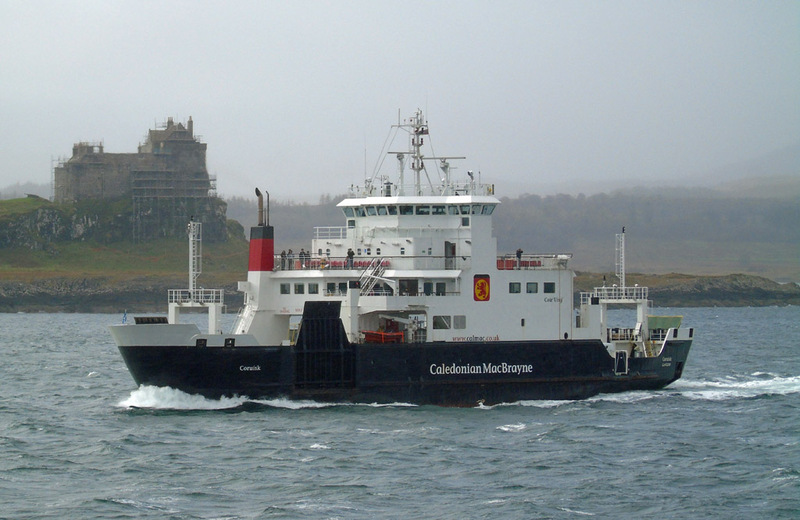 Caledonian Macbrayne's Barra ferry Isle of Lewis inbound 15 October 2017. 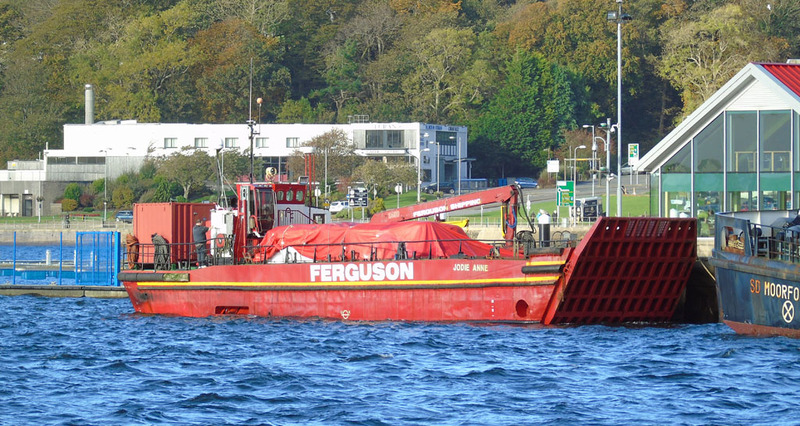 Ferguson Transport's Jodie Anne at the North Pier 15 October 2017.